Evan Parker, tenor saxophone; Peter Evans, trumpet, piccolo trumpet; Alexander Hawkins, piano; John Edwards, double bass; Hamid Drake, percussion. 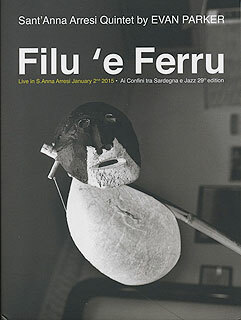 Recorded on 2 January 2015 during the Sant'Anna Arresi Jazz Festival, Sardegna, Italy. Artwork (front cover reproduced above) by Erica FLoris.